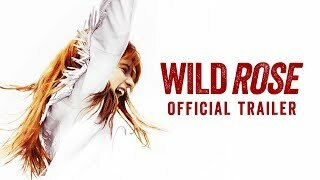 WILD ROSE is the electrifying story of Rose-Lynn (2019 MFF Breakthrough Performer Jessie Buckley, star of last year’s award-winning BEAST), an ex-con reunited with her family but wholly unprepared to accept responsibility as a mother. Rose-Lynn dreams of leaving Scotland and moving to Nashville to become a country music star, but her plans are put on hold as she looks to find work and provide for her kids. When her chance finally arrives, can she live out her dreams, or will her real-life circumstances keep them from coming true? Q&A with star Jessie Buckley follows the screening, where she will be presented with the MFF 2019 Breakthrough Performer Award. This screening is co-presented by Investors Bank and BAFTANY. Immediately following the inspiring WILD ROSE, stay where you are and help us kick off the 2019 Montclair Film Festival with the Opening Party! This is the perfect start to 10 days of film, conversation and celebration! Enjoy appetizing food and open bar from our official festival sponsors Events by Joni, The Little Daisy Bake Shop, New Jersey Beer Co., Ironbound Hard Cider, and wine and spirits from Opici Wines and Austin Cocktails! To join us for the Opening Film and Party, please select a Film + Party ticket at checkout.